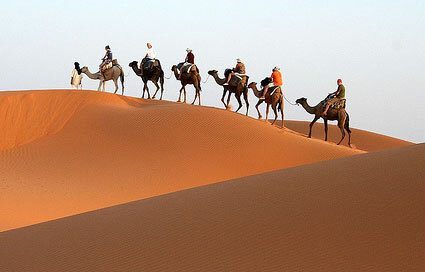 Day 1: Arrive in Marrakech and transfer to the hotel. Following the hour of arrival we will guide you on a tour of the city. We dine at the most well-known place of Morocco, Jemma El Fna. Day 2: By 4X4 or minibus, we head up the magnificent road to Tizi'n Tichka, Ouarzazate and Skoura. 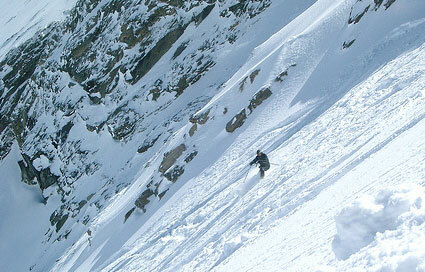 We also see the valley of Daddés, El kláa Me Gouna and finally Ait Youls. Our guides and mule-drivers will wait for you for your lunch. Once your loaded baggage is on the slippers, you will begin your hike to the village of Tamgalouna. 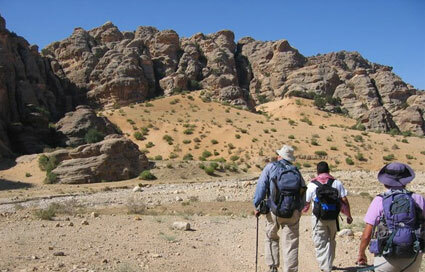 Day 3: Walk in the valley of Wadi Mgoun until the village of Igherm Adquim and Agerzerka. About a 3hr30min march along the Verdant gardens until Bivouac, in the evening we stop at Agurzga. Day 4: Learning of a collar for redecendre in the valley of Amejgag and Alemdoum about 5 hour walk. Day 5: Hike along the Wadi, the gardens follow each other in the magnificent Throats of Qati El before arriving to the village of Agouti, then BouThara to Bivouac. Day 6: Vegetable gardens, cultures of but and rosaries, stake out the Wadi Me Goun. 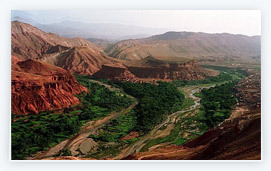 The villages of Timstiguit, Ait Saíd and Taberkhats shelter the tribes along this river. Day 7: Morning hike to the village of Talmout and eat lunch after two hours of hiking. In the afternoon, we come to Marrakech for the last evening in this quoted, "legendary" city. Day 8: Departure to airport.